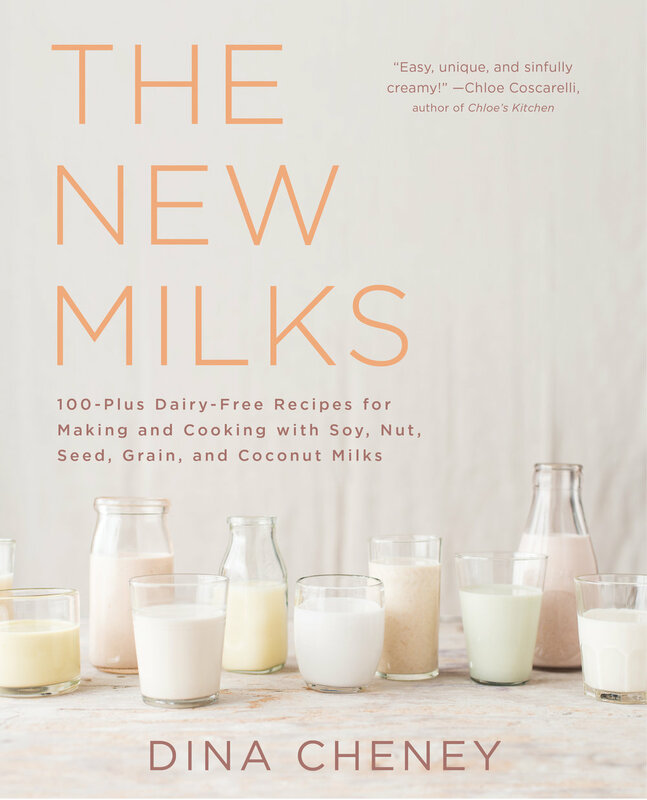 Copyright © 2016 by Dina Cheney from THE NEW MILKS: 100-Plus Dairy-Free Recipes for Making and Cooking with Soy, Nut, Seed, Grain, and Coconut Milks, published by Atria Books, a division of Simon & Schuster, Inc.The New Milks, a new book just released from local author Dina Cheney, is the first comprehensive resource about plant-based, vegan, or alternative milks. The book includes 113 recipes dairy-free and kosher recipes, and most are wholesome (many are vegan). The New Milks is a great resource for those who are lactose-intolerant, have dairy allergies, or who follow vegan, paleo, kosher, low-cholesterol, hormone-free, or low-sugar diets. From familiar varieties, such as almond, soy, and coconut, to exotic types, like pistachio, millet, and tiger nut, readers will learn about the full range of incredible plant-based milks. All Green & Tonic stores will carry the book. For more info about the book, visit the author's dairy-free resource site, www.thenewmilks.com. ADD all of the ingredients to a small sauce- pan, whisk well, and bring to a simmer over medium-high heat. Simmer until the cocoa powder and chocolate dissolve, whisking, about 3 minutes. STRAIN into a small-medium bowl, cover, and chill until cold, about 1 hour. Remove the spices, pour into a glass, and serve cold. Vegan if using vegan chocolate; nut-free if using nut-free milk. Alternate milk: Cashew or Hemp.